Aftermarket Tanks for the Kraken. Still waiting on word from VA about when they will get more so if your in need of a new one this is your best bet for now. Thanks for the tip. I was going to fire off an email but decided to check the website and low and behold, she already had them up for sale. I ordered 2 of each to test them out. I could probably look at getting more in but will wait till VA get back to me about their glass. @ luntingsir. 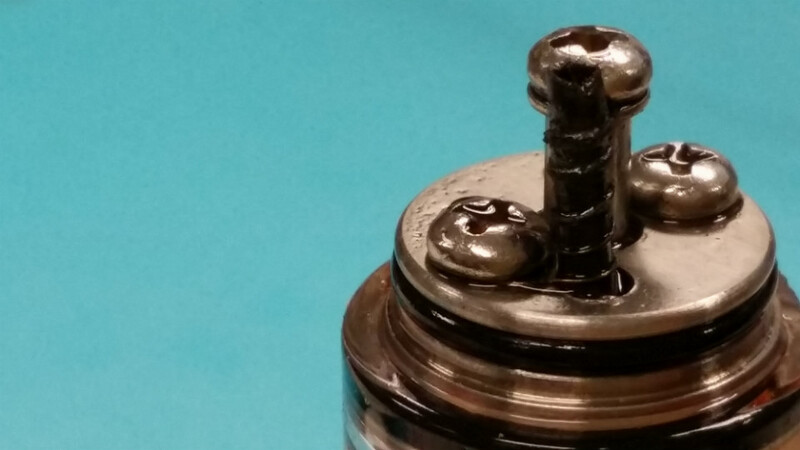 Do you have a pic of the coil itself you could share. I have been trying to build mine the same but I'm not doing something right (noob). A pic would help heaps. I'll see if I can take a photo tomorrow. The build has changed since that original build, it's now up at around 1.6 ohms. Although, it's nothing special, just a normal genesis mesh build. If you're having trouble building it, jump on Youtube and watch some vids. Same theory and method applies to just about all genesis devices. Last edited by unik; 04-12-13 at 12:42 AM. As I said, nothing particularly special. 4/5 wrap of 32ga around #400. Thanks luntingsir. I think I have my issues sorted since I posted that. Does anyone happen to have heaps of spare screws before I go hunting overseas? Last edited by Itchy Pits; 01-02-14 at 12:05 AM. pretty sure places like total fasteners or conventary fasteners will help you out. I plan to wick it with steel rope and Feral has very generously offered to send me some cut to the correct length.... only problem is my Kraken is "en route" and I'm unable to take a measurement for him. Is there any chance somebody could get a dimension for me from the top of the post to just above the base? I was reading that they may have been sending a few bits of pre-cut rope out with a new purchase so it could maybe be as simple as measuring the pre-cut length that arrived with the purchase.